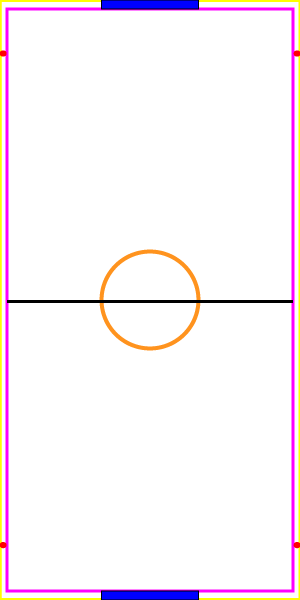 All things related to the game of air hockey. Professional, USAA sanctioned air hockey tables are a must for serious players who want to take their game to the next level. When shopping for an upgrade, you want to know that you are investing in the right model. We’re here to explain why professional air hockey tables are superior and how to tell you’re looking at the real thing, as well as offer some recommendations for the top models you can order online today. Buying an air hockey table is a great investment for any game room. It can provide hours of fun for players of all ages—from kids to seasoned pros. Not every type of player wants the same kind of air hockey table, though. This air hockey table buyer’s guide will help you decide which type is right for you. Here are the seven factors you should consider when buying an air hockey table. If you’re looking to learn how to play air hockey, you’re in the right place. We’ll break down what you need to play, the basic rules, and some tips to help you look like a pro. With this helpful guide, you’ll know how to play air hockey in no time. 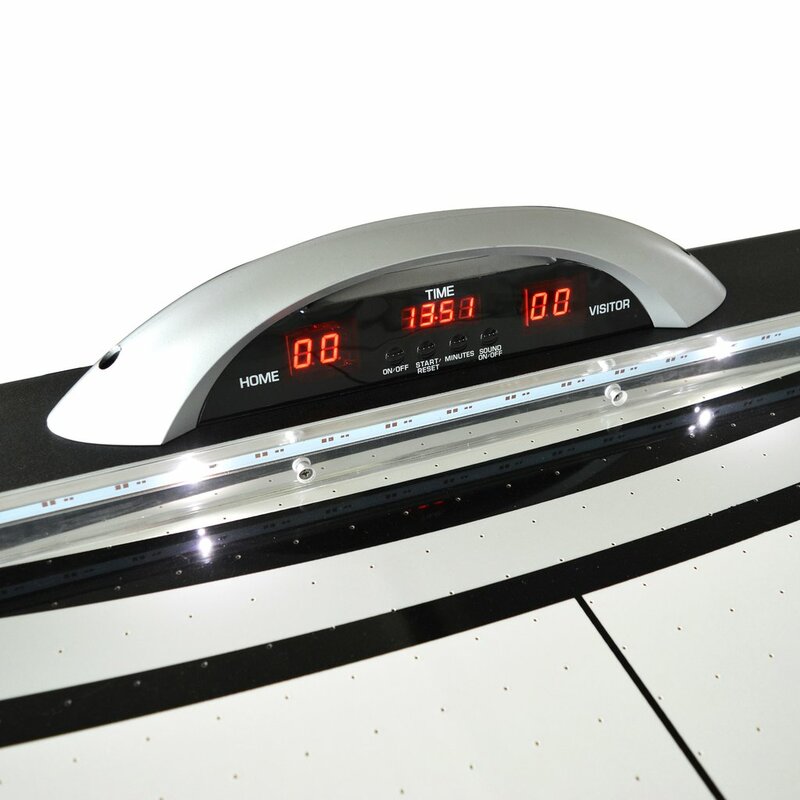 The Stratosphere air hockey table comes with a unique LED digital scoreboard that keeps track of the score. It also has a docking station with built-in speakers that let you play music while you play your game. The most important thing you need to get started is the air hockey table itself. Most air hockey tables come with a digital scoreboard that keeps track of your points, but if yours doesn’t, you’ll need something to track this manually. You’ll also need a puck, which is the name for the disk passed back and forth between players. Lastly, you’ll need two mallets (aka strikers), which are the pieces players use to hit the puck. Here’s an example of puck and striker sets. Equipped with all these things, you’re ready to begin. Air hockey is definitely a game of skill, requiring patience, attention, and fast reflexes. The rules of the game are simple enough, meaning that just about anyone can play; but not all will play well. Beginners will have to overcome a learning curve, testing their patience and dedication to reaching a higher level. 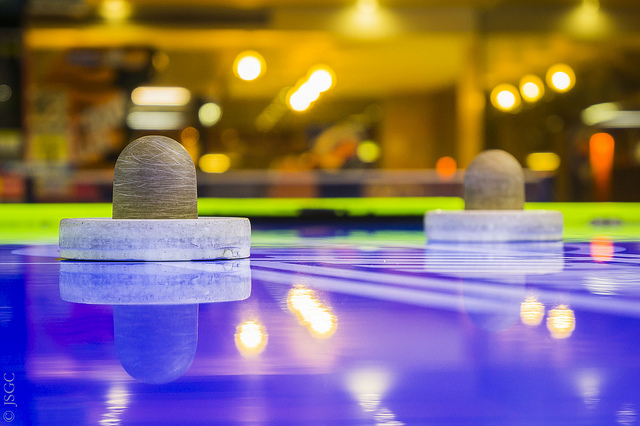 This air hockey glossary is a great way for a beginner to learn the ropes. 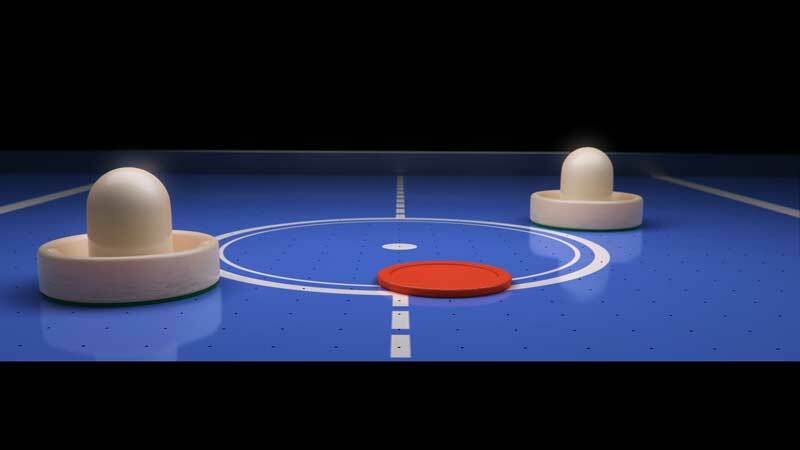 Before you try to reach the top of the air hockey food chain, you need to understand some of the basic components of the game. 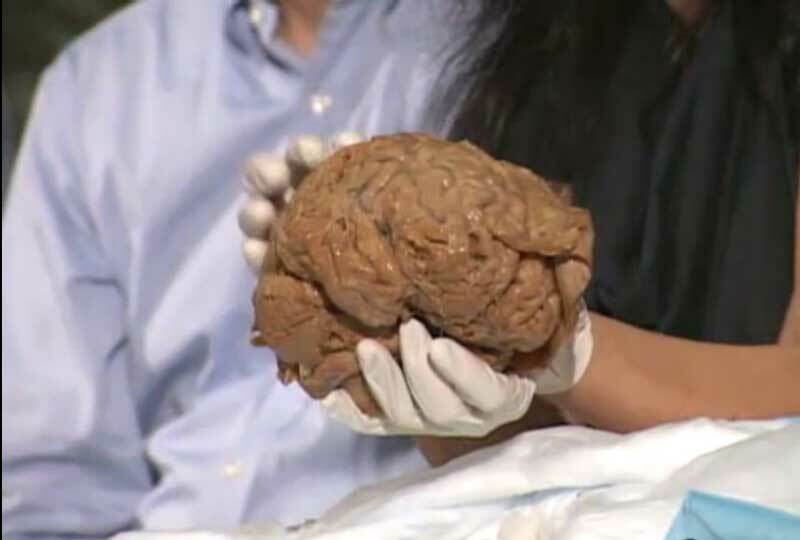 We’ll start by getting familiarized with some terminology. Turning on your air hockey table to find out that it isn’t working correctly can be disheartening to say the least. Here at Game Tables Online, we want to make sure that your air hockey table keeps you and your friends entertained for years to come! We’ve put together this air hockey table troubleshooting guide for all of the common problems that you may experience. Air hockey tables are fun for everyone regardless of whether you’re young or old, a boy or girl, an athlete or not. It’s fun, exciting, and easy to play. So how do these tables magically skate pucks across the board? It’s a fairly simple set up that gives air hockey tables their floating qualities. 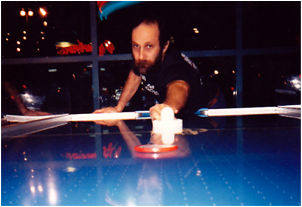 First invented by a group of engineers in the early 1970’s, air hockey tables are a relatively recent invention when compared to other game tables like pool tables and shuffle boards. The game quickly caught on and from there, many leagues and tournaments formed shortly thereafter. If you are looking for a new game table for your home, then you have both good and bad luck. The good news is that there is an exciting amount of games, manufacturers, and styles to choose from. The bad news is that with variety comes indecision. You may have a favorite game, and if you do, then you have narrowed down a lot of options. 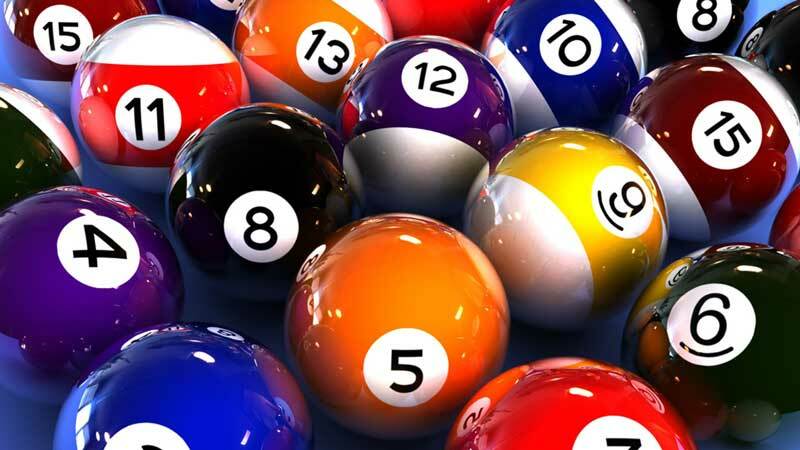 If you are the sort of person who likes a lot of table games, or are competitive by nature and will enjoy any head-to-head game, then you should seriously weigh your options. An air hockey table can offer some of the most thrill, as well as having several other great options.